Back in October, I was looking to eliminate some of the dead WiFi spots in our condo. We have this nifty built-in desk in our condo with some drawers and a fair-sized working area. Below the desk is a phone jack and power outlets — an ideal spot for our modem and router. Also, therefore, a wired ethernet connection. Unfortunately though, the desk area is only lit by an artificial light and there is an air vent right above the work space that blows air straight down into the working area. While the built-in desk is handy at times, it’s cold and poorly lit. So, I decided to setup an office in our second bedroom. The room is better lit. It’s warmer. And I have a gigantic desk I made back in university that offers far more work space. But it doesn’t have a wired ethernet connection. Our internet service is so bad, a wired connection can be a necessity at times. Naturally, I chatted about my issues with a few friends who chatted with my issues with a few of their friends. 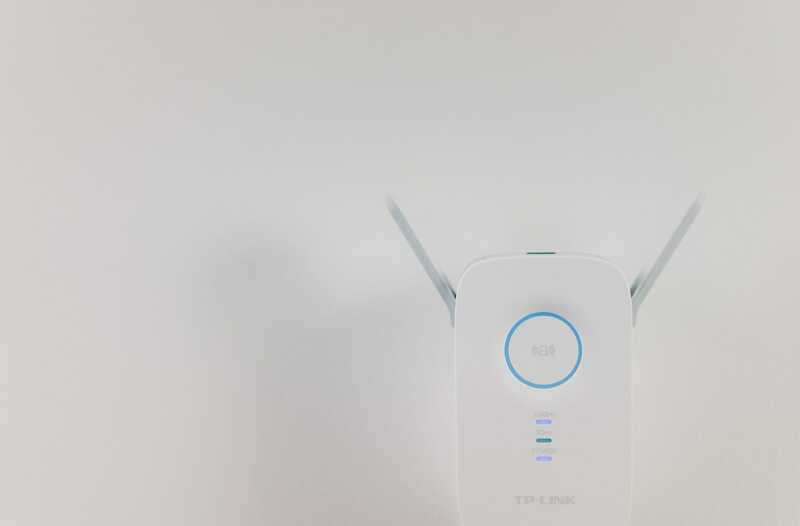 Just a day or two later, boom: TP-Link sent me their Archer C9 Wireless Router and AC1200 WiFi Range Extender to test out and review. Perfect timing. Editor’s note: Both the Archer C9 and AC1200 home networking accessories were sent to me for free by TP-Link for the purposes of review. These views are still 100% my own — I can guarantee that. The Archer C9 is one of TP-Link’s less high-powered, less high-bandwidth options and one of the more high-style, high-fashion options. Just looking head on has me thinking this was designed to fit in an Apple-centric home office environment. As white and Apple-y as the C9 looks, it doesn’t have that same high quality build as you’d expect in an Apple-y office. The aluminum trims are just painted plastic, and the white plastic itself doesn’t feel as rock solid as you’d expect. The whole package is light and easy to move around, but there’s no sense of high-quality heft being had here. Aesthetically, I don’t mind the C9. The white plastic looks fairly well on a desk. Logos and branding are kept to a relative minimum and the small blue indicators look all well and good. But I can’t stand those blasted antennas. I get they provide improved performance and range, but they are incredibly unsightly. Nothing says “wireless router” quite like the Archer C9. 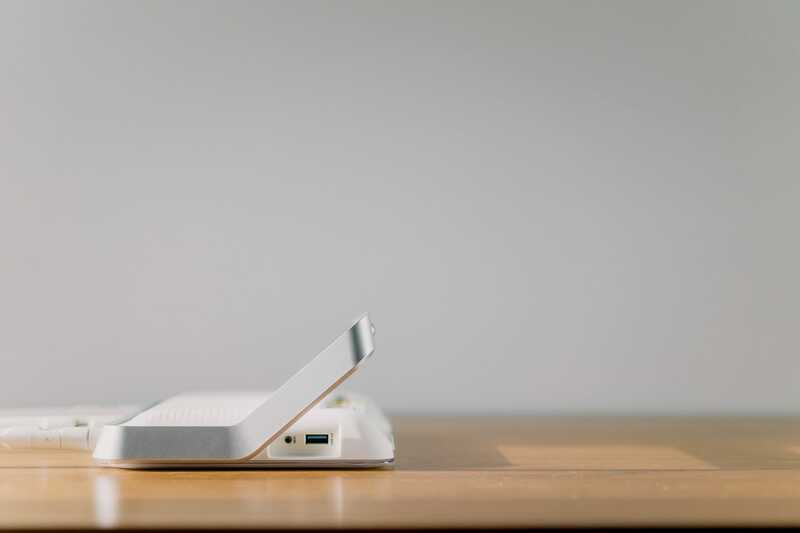 Unfortunately, when I look at the Archer C9, I think of a high-performance router that tries too hard to look good. Either go all out on the design and aesthetic appeal, or go all in on performance. One or the other. The C9 has a plethora of ports on its backside which blow my current AirPort Extreme out of the water. The C9 boasts one USB 3.0 port on the side, one USB 2.0 on the back, and four ethernet ports. The USB 3.0 and USB 2.0 ports allow you to share a printer across devices on your network and allow you to hook up a hard drive. There are a few switches on the backside that allow for faster resetting than the AirPort Extreme as well. You can physically switch the C9 on and off rather than plugging and unplugging, and you can turn WiFi on and off with the switch on the side. Both of these options are superior to having to plug and unplug a router in order to reset it. Now, a not-so-quick note on those USB 3.0 and 2.0 ports. I’m coming from an AirPort Extreme, which quickly and easily allows you to setup a Time Machine backup in macOS. Simply plug in your hard drive into the single USB port on the back of the Extreme and open Time Machine in System Preferences. From there, the process is pretty self explanatory. Not so for the Archer C9. Sure, you can share a hard drive with the included USB ports. But you can access that hard drive via FTP server. 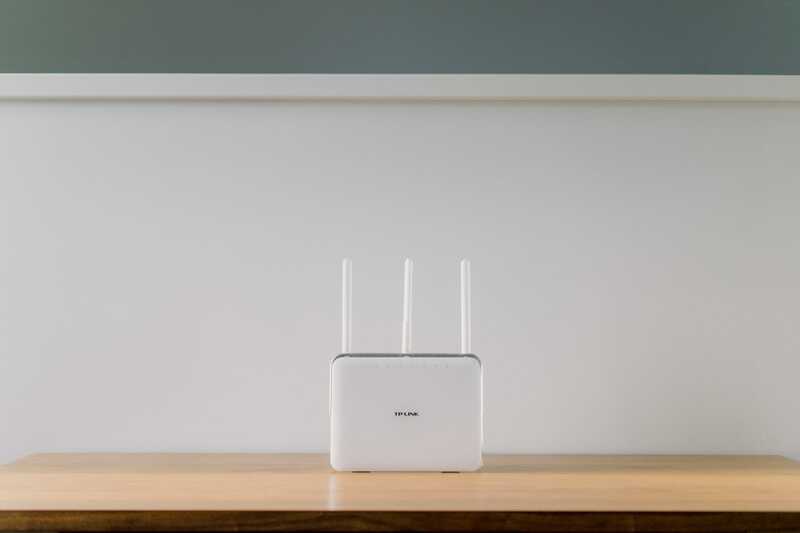 To put it simply, you need to use an app like CyberDuck or Transmit to wirelessly connect to the router’s IP address and then upload/download files to your heart’s desire. This isn’t nearly as seamless as I expected and is a major red flag for the C9 in my household. I appreciate the ability to share both a printer and a hard drive, but not being able to use the attached hard drive as a Time Machine backup drive is a deal breaker for the C9’s I/O. First, I’m going to give theoretical specs. Then, I’m going to give you my experience, as anecdotal as it may be. The Archer C9 features 802.11ac WiFi with data transfer speeds up to 1.9 GB/second. The C9’s dual-band technology also offers up to 1.3 GB/second performance on its 5GHz frequency and 600 MB/second on its 2.4GHz frequency. It even has a dual-core chip inside to maximize performance. Now, that’s a lot of jargon. My real world experience isn’t that blow-me-away impressive. 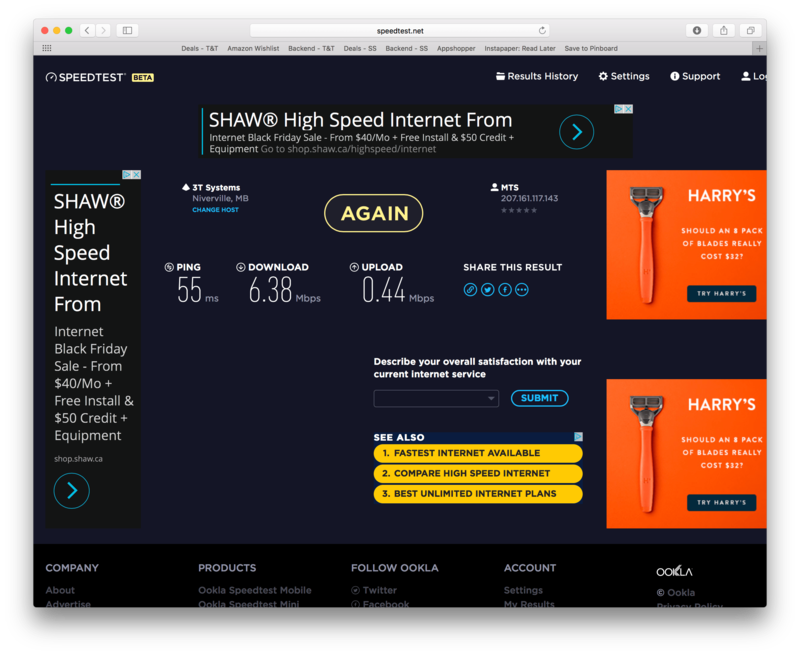 Above: The Archer C9’s SpeedTest.net results. Above: The Airport Extreme’s SpeedTest.net results. Here are two speed tests, which may only offer anecdotal evidence at best. Remember, our internet speeds are garbage as a whole. I tried to test both the AirPort Extreme and the Archer C9 routers in as equal a playing field as I could, but there could be some other variables at play here. In short, the AirPort Extreme provided marginally faster download speeds and both routers performed identically in upload speeds. This surprised me. I tried again on a different device and achieved basically identical results. Again anecdotally, I found the C9 to have odd intermittent hiccups. I would type in a URL in Safari, hit the return key, and wait as much as five to seven seconds for the connection to begin to load. The AirPort Extreme has never had such delays or hiccups. Setting up the Archer C9 was quite easy and required following a few very simple steps in the manual provided. Of all the features of this router, setup was the one that surprised me the most. With two USB ports, a clean design, and a few handy switches, you’d think the TP-Link Archer C9 would receive high marks. But there are just too many hiccups in my home office workflow to justify the C9 sticking around. FTP hard drive access is an essential deal breaker for me. I have two notebooks in the house now, and both need to be able to wirelessly backup whenever plugged in. By needing to log into the router through an FTP client, the only thing I can truly share is media. This is a big bummer. I could probably be won over if the Archer C9 provided far greater wireless speeds than my current setup, but it doesn’t. In fact, my tests have been “statistically” and anecdotally slower. All in all, the Archer C9 provides no added value over and above my current AirPort Extreme in my current home office. Shucks. 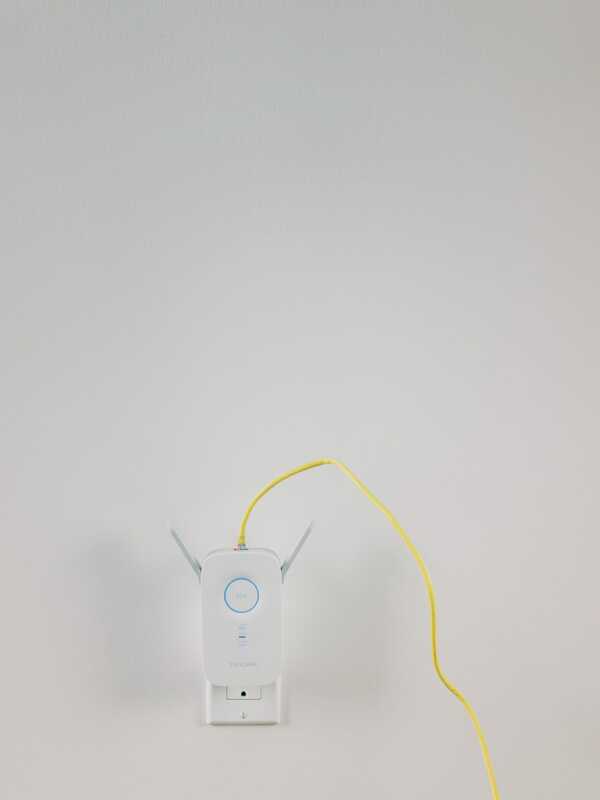 The same words cannot be said about this AC1200 WiFi Range Extender. 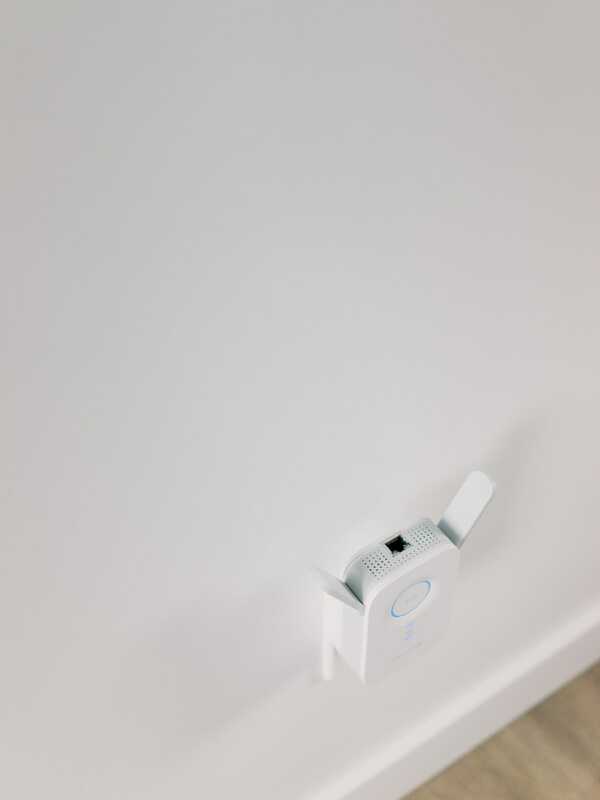 From the moment I plugged it in, I noticed major improvements in download speeds, upload speeds, and overall connectivity. The AC1200 Range Extender is a bit more nerdy-looking than the Archer C9. It doesn’t have the same high-gloss white finish, nor are its antennas as awkward looking as the C9. That said, the AC1200’s antennas aren’t whimsical themselves. They extend outwards like a pair of rabbit ears, but can be flipped down and parallel to the extender’s sides in case you want to pack it up and bring it to the office. The big circular button dominating the front face has a blue illuminated ring when setup and operating. The three front LED indicators also light up blue when operating, making for a nice, consistent look when everything is running smoothly. On the side, you’ve got a small reset pinhole to reset the extender, along with an LED button and an on/off button. The on/off and reset buttons are self-explanatory, but the LED button is actually a brilliant addition. When operating, the extender’s front-facing blue indicators are quite bright. The large blue ring is exceptionally bright and could keep the dog awake at night on occasion. By pressing that LED button, all the extender’s LEDs shut off. The bright light was literally my biggest complaint when taking notes on the AC1200, but the LED switch quickly eliminated that problem. My second biggest complaint is the AC1200’s size. It’s a fairly large extender, with a single AC plug on the back that ends up taking both wall outlets. Perhaps TP-Link did this for power management purposes, but there’s little chance you’re plugging the extender into a power bar or wall outlet without losing access to other outlets. On the top of the AC1200 Extender is my favorite feature of all: an honest-to-goodness ethernet port. 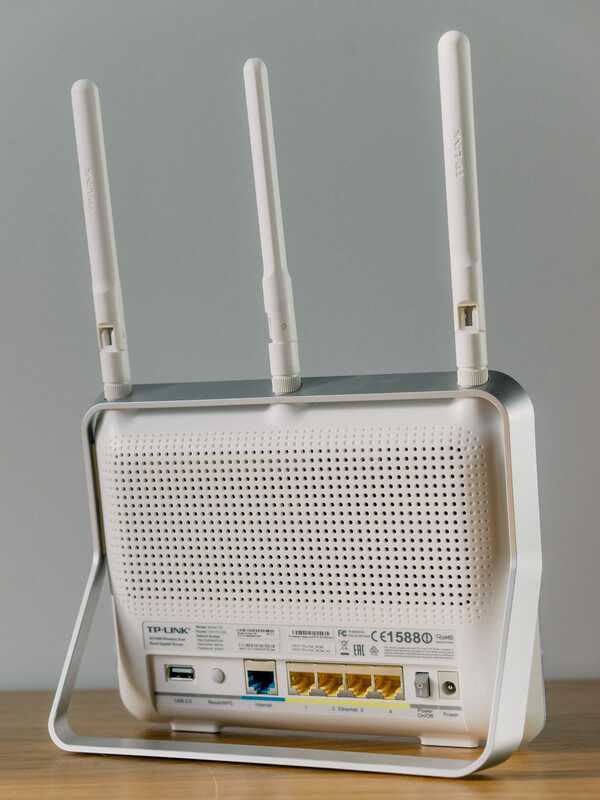 By linking to your main wireless router, the AC1200 not only extends the range of the wireless network, but can also provide a wired ethernet connection. Now obviously this won’t provide identical speeds to a true ethernet connection from your main router. This is still using a wireless signal from your main router and then converting it into a wired signal. But as we’ll see, the performance slightly suggests a benefit. From my personal experience, the ethernet connection not only improved load times in Safari, but also improved upload speeds for those times I needed to upload a podcast file. The other benefit I’ve found is the ability to run entirely on the ethernet connection while completely turning off the machine’s wireless connection. It’s not an exact science, but I’ve found ever so slight improvements for others using the wireless connection when the iMac’s airport connection is turned off and running solely on the ethernet connection to the AC1200 Extender. Just like the Archer C9, following the included manual to setup worked like a charm. I still don’t think this extender is meant for completely technical illiterates to quickly install, but even I figured it out somehow. Also just like the Archer C9, my performance tests left little to be desired. I tried different devices. I tried different times of the day. 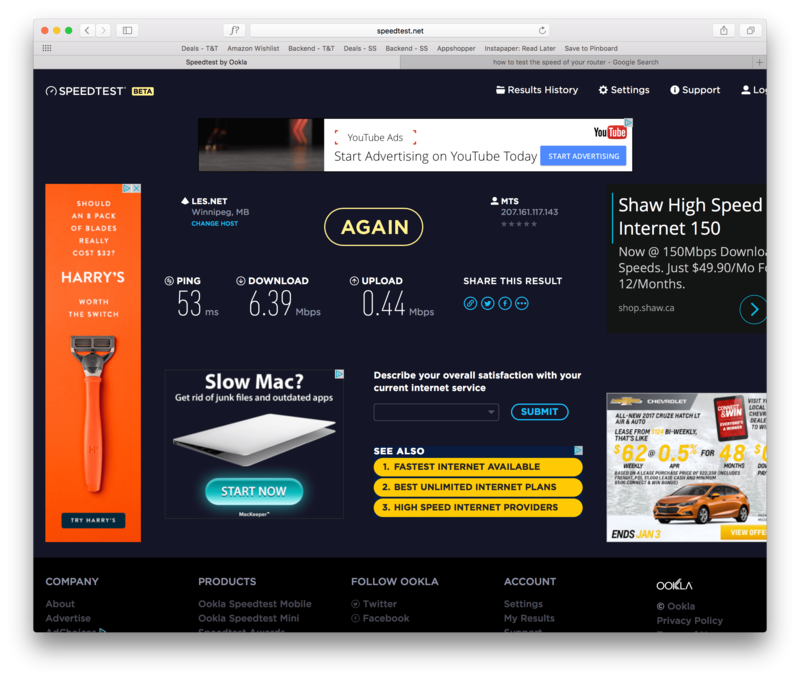 I tried wired vs. WiFi-only vs. WiFi + extender, and my performance results hardly changed. So, here’s the best scientific evidence I can provide. Above: A WiFi-only (sans AC1200 Extender) SpeedTest.net test. 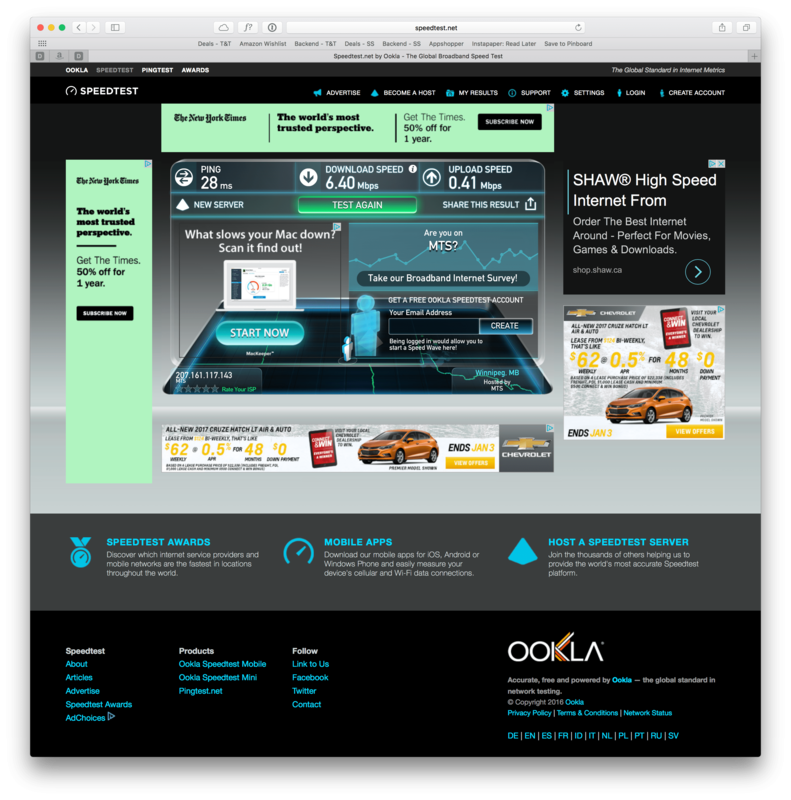 Above: A WiFi-plus-AC1200-Extender SpeedTest.net test. 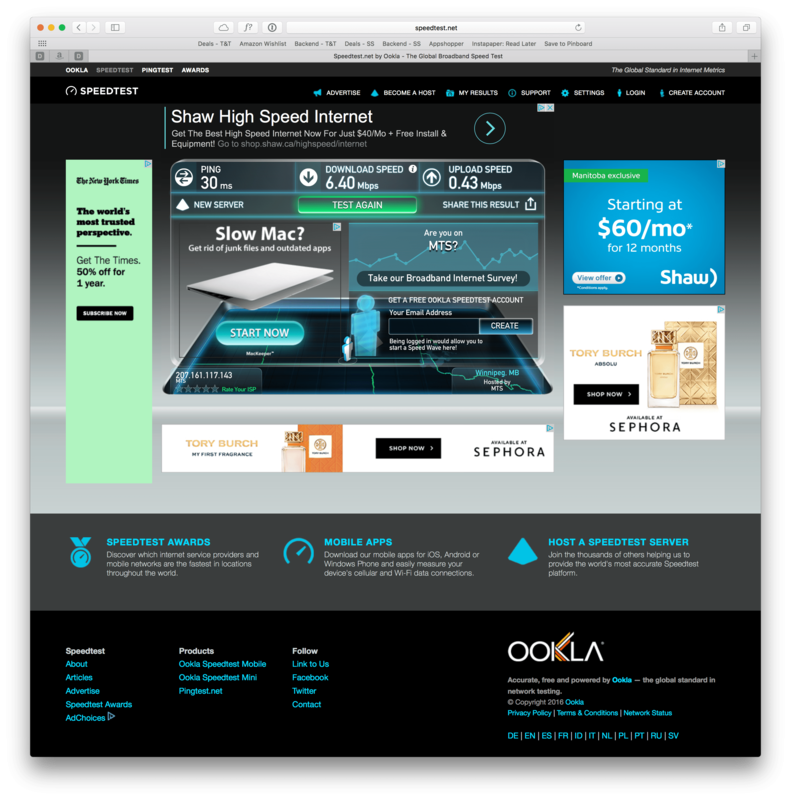 Above: A SpeedTest.net test of the wired connection with the AC1200’s ethernet port. As you can see above, the very best performance came with the wired ethernet connection via the AC1200 Extender. Very oddly, second best performance came with no extender at all and just the AirPort Extreme, while the worst — but marginally worse — performance came by way of a wireless connection to the extender. This seems incredibly odd to me, but this is the only hard evidence I could produce. Anecdotally, the AC1200 has dramatically improved speeds in the farthest corners of our condo. In areas where I used to experience one or two bars of wireless connectivity, the AC1200 boosted the connection to a full three bars. Load times on my iPhone in our bedroom, which was the farthest point from the main wireless router, have improved significantly. And of course, having that wired connection for uploading files also felt like a major improvement. Clearly something has gone haywire with my tests. At the very best, the AC1200 has eliminated dead spots in the back corners of the condo and has improved upload and download speeds. At worst, it’s providing a placebo effect. Either way, I’m happy. 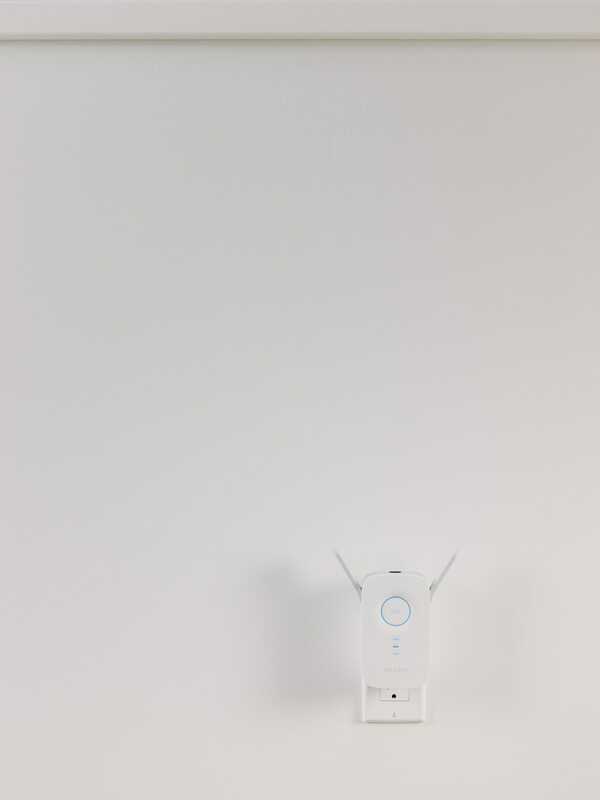 Unlike the Archer C9, the AC1200 WiFi Range Extender has become a must-have accessory in our condo. We are moving at the end of the month to our new house, so I expect the AC1200 to really show its value in an increased square footage home. Although its design is less elegant than the Archer C9 and is more bulky than I’d like, the AC1200 Extender has a few very handy features which alleviate it from being a wall plug eyesore. The big front facing button allows for quick and easy setup, the LED and on/off button are both handy for shutting off the device’s indicators and for resetting the extender when need be. And most importantly, that ethernet port has greatly improved our piddly wireless network by removing one device hogging all the bandwidth.